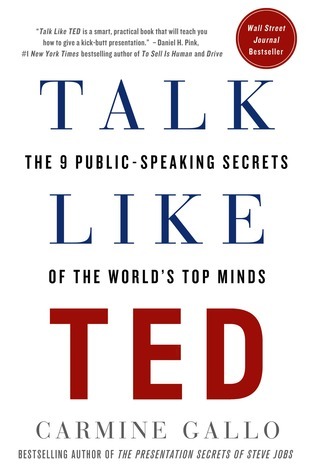 I am a fan of books on presenting, especially good ones, and this new book by Carmine Gallo, Talk Like TED – The 9 Public-Speaking Secrets of the World’s Top Minds, is a good one. The approach Gallo has taken is to analyse over 500 Ted talks, looking at the videos, interviewing the speakers, and working with the people involved in making it happen. The book highlights great Ted Talks, such as those by Hans Rosling, Amy Cuddy, and Amanda Palmer, and uses these to describe the lessons we can all learn from them. Gallo divides these lessons into three groups of three, and includes many of the well-known points about passion and storytelling. However, because TED talks are available via the web, we can read his descriptions and check out the videos – increasing our understanding of the points he is making, seeing them in action. No book is going to be a complete solution, and I could quibble with some of the advice. For example, I would like the book to focus a bit more on identify the needs of a specific audience, and in my professional world I often have to deal with speakers and/or audiences who don’t share a common language, which can produce a different balance of words and images. Most of the advice in the book is very sound and following that advice, watching the videos, and being more self-analytical would help any reader be a better presenter.